This recipe was revamped just a tad, i.e. I didn’t add the blueberries or vanilla bean. 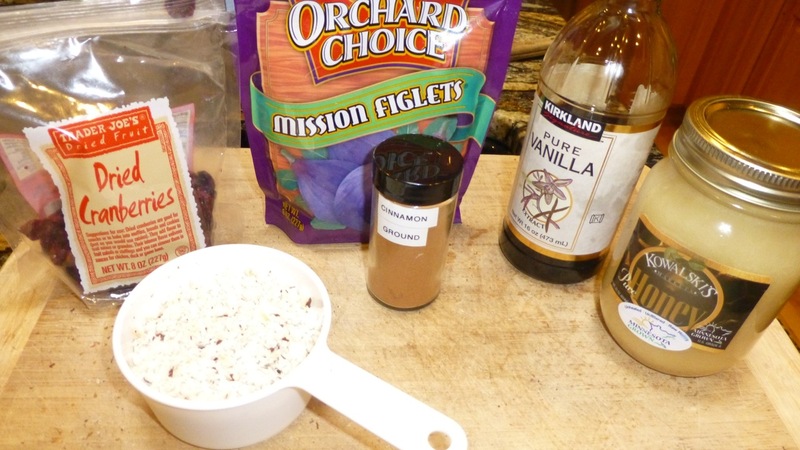 For the blueberries, I substituted dried figs. It came out tasting just great! Feel free to substitute your own nuts and/or dried fruit. Using the “base” is what makes this recipe tastes delicious. I’ve eaten it for breakfast and also for snacking. Melt the coconut oil in a large skillet over medium heat. Add the almonds, pecans, walnuts, pepitas, and coconut to the skillet. Drizzle this with the raw honey. Cook over medium heat until the honey and oil cling to the nuts and begins to “boil”. Add the remaining spices and fruit(s) to the skillet. Stir to coat everything together. Pour everything onto a large piece of parchment paper and allow the granola to air dry and cool for up to an hour. Transfer the granola to an airtight container. And the final product …. delicious! Special thanks to Cheeky Kitchen for this recipe.